In the fourth quarter of 2017, Intradco Global’s expertise for cattle movements was in high demand – and this momentum has continued in Q1 2018. Our worldwide offices have seen a rise in charter requests in recent months, with especially strong demand for cattle imports into Middle East, South Asia and South East Asia. One of our key focuses in the last 12 months has been increasing our share of the US dairy cattle export market – with the aim of building on the success we’ve enjoyed in Europe and other key overseas markets. We’re now pleased to be serving the US export market more extensively than ever before, and introducing new clients to our award-winning charter services. As a market leader for three decades, we are continuing to invest in new lightweight re-useable cattle stalls, which assist with larger projects with repetitive charters. 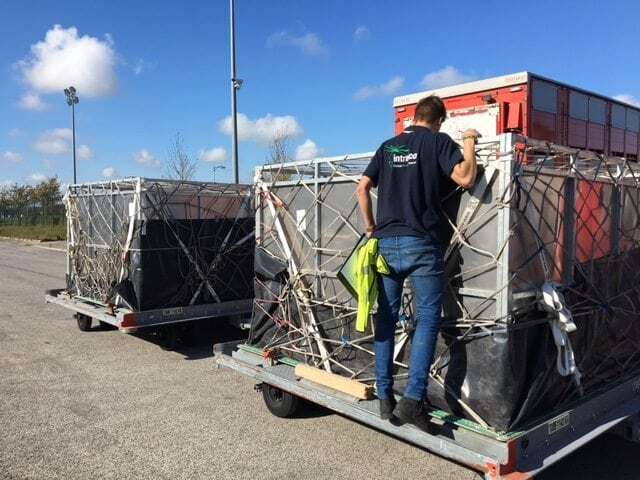 We also have a growing team of operational experts who are tasked with managing the stall building, cattle loading, assisting with in-flight animal well-being, and offloading for each flight. We prefer to take a real hands-on approach, with a strong team present to accompany each flight. If we encounter problems, which is unavoidable in aviation, then we know we have the personnel ready to handle any situation.